A stain-proof, water-resistant short sleeve shirt that’s built to keep you comfortable and clean on any trail or travels. A breezy short sleeve shirt that’s soft on the skin, stays clean and moves with your body. Light and dry with the feel of cotton, this ultra-high performance shirt will keep you cool and fresh all summer long. 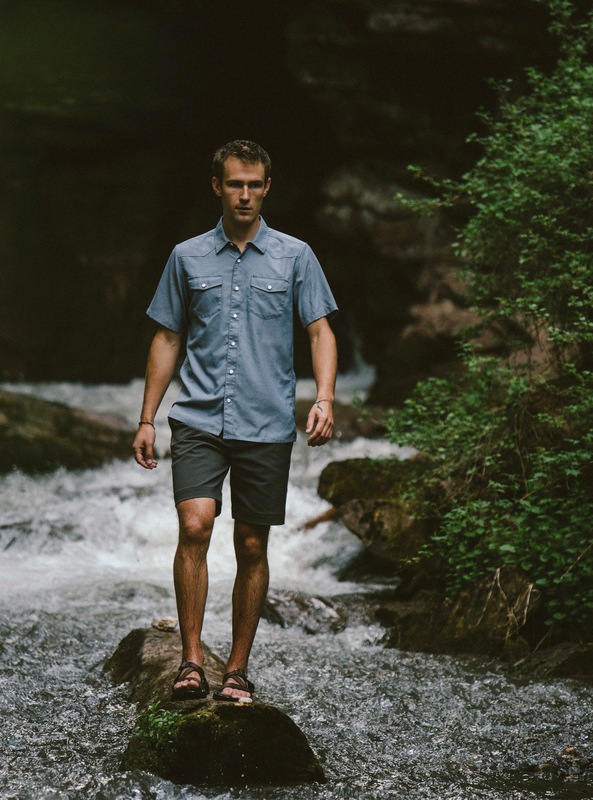 Built with a soft, airy polyester bolstered by durable, air-texturized nylon, the AirLight Shop Shirt combines the outdoor durability of nylon with the light, soft feel of polyester. An articulated armhole and mechanical weft stretch give the AirLight Shop Shirt an impressive range of motion through the sleeve and across the back. A hidden chest pocket keeps valuables in check, and hidden reflective details under the collar keep you safe after dark. We topped it off with a touch of nano-scale C6 DWR to keep you dry and clean and cut it medium-lean for a tailored look. The Short Sleeve Shirt, Elevated. Fit is good and the shirt is comfortable and breathable. I use it at work. Feels super good during the day. Hello David. Thanks for your review and your feedback! I am sorry to hear that the Airlight Shop shirt didn't quite work out for you in the length and sleeves. They did end up running a touch long. If you need us to set-up a return or exchange, please feel free to reach out! Comfortable shirt, fits true to size.